To watch match highlights from this game and all today's Premier League clashes from 5.15pm, go to the Football Score Centre app! 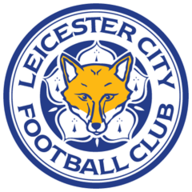 Leicester City began their Premier League title defence with a 2-1 defeat to Hull City at the KCOM Stadium on Saturday lunchtime. The Tigers opened the scoring in first-half stoppage time thanks to Adama Diomande's spectacular overhead kick, only for Riyad Mahrez to equalise from the penalty spot at the start of the second period. However, the Tigers recorded a memorable opening-day victory when Robert Snodgrass scored with a well-struck shot from the edge of the box just before the hour-mark. Hull boss Mike Phelan opted to field midfielder Jake Livermore as a makeshift centre-back for his first competitive game in charge of the club. Tony Cottee recaps Hull's opening day victory over defending champions Leicester. Meanwhile, the champions gave record signing Ahmed Musa his Premier League debut, although fellow new boy Nampalys Mendy was absent after his wife went into labour overnight. Claudio Ranieri also opted to field another summer acquisition, Luis Hernandez, to partner Wes Morgan at the heart of the visitors' back four, with Robert Huth still serving the final game of a three-match suspension. It was the newly promoted Premier League team, though, who made the more assured start, with Hull's players passing the ball around nicely in the opening exchanges, clearly not distracted by their own fans' protests against the owners. Captain Curtis Davies had the first good chance of the contest after just six minutes, but the central defender's header from Snodgrass's left-wing corner curled just past Kasper Schmeichel's far post. However, as the first half wore on, Leicester gradually grew into the encounter and had several opportunities to open the scoring, only to spurn them all. Three minutes before half-time, Christian Fuchs played a neat one-two on the edge of the box, but his close-range shot was blocked, before Livermore also made a vital goal-saving challenge to deny Jamie Vardy. From the rebound, Mahrez made himself some space in the area, only to curl his effort wide of the target, while Vardy then blazed horribly over the bar minutes later after being set up by strike partner Musa. That miss was to prove costly, though, when Hull went up the other end of the pitch and took the lead following Snodgrass's left-wing corner. Davies again rose high at the near post to force a brilliant reaction save by Schmeichel, but luckily for Hull, Diomande - with Abel Hernandez in close proximity - was there to find the back of the net with a sensational bicycle kick. 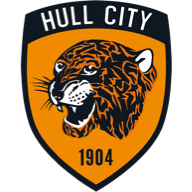 If Hull were lifted by that strike, the wind was soon taken out of their sails just 14 seconds into the second half after Tom Huddlestone was harshly adjudged to have tripped Demarai Gray just inside the box by referee Mike Dean. Mahrez kept his cool from the spot by placing the ball straight down the middle as Hull goalkeeper Eldin Jakupovic dived the wrong way, but Leicester were only on level terms for 10 minutes. Schmeichel tried to launch a counter-attack with a quick throw to the halfway line, only for Hull to intercept and drive forward down the right, with Ahmed Elmohamady delivering a wicked ball into the six-yard box that Danny Simpson, under pressure, could only clear to the edge of the area. Waiting there was man-of-the-match Snodgrass, who kept his eye on the ball before striking a sweet low shot into the bottom corner of the net to send the home fans into delirium. Thereafter, Hull managed to hang on with relatively ease to inflict a first league defeat on Leicester since going down 2-1 at Arsenal on February 14, while the Foxes also became the first champions to lose on the opening day of the season since Arsenal in August 1989.